There’s nothing bad with RBJ, it’s just a side effect of bilinear transform (BLT) used to create digital infinite impulse response (IIR) filter from its analog prototype. 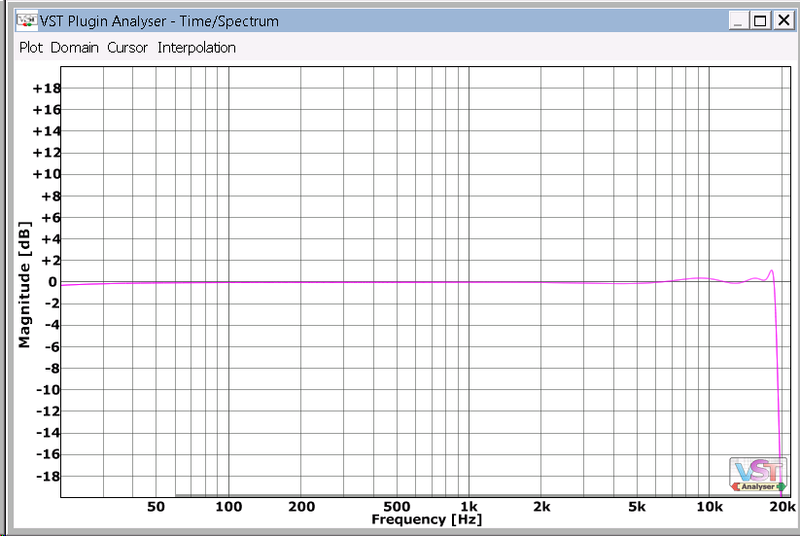 This transform used very widely and shape distortions are acceptable for frequencies below 1/3 of Nyquist. 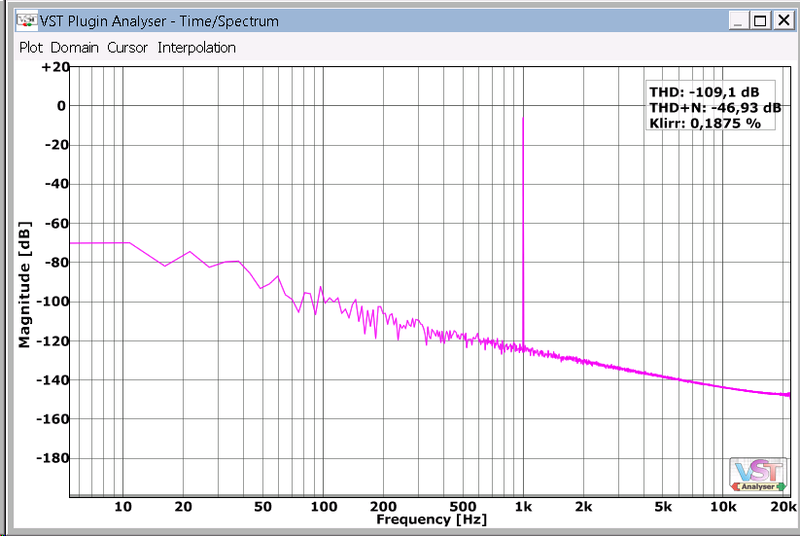 By the way, the initial 1 kHz bell was created using bilinear transform too. If you take a closer look now you may notice it’s a bit asymmetric too (check curve crossings at 200 Hz and 5 kHz for example) but this asymmetry is pretty much acceptable. “Decramping” is some kind of compensation added to IIR filter calculated by BLT to make its amplitude response more analog matched at high frequencies. They look much better but nevertheless they have their own kind of shape distortion: the amplitude response curve enters Nyquist frequency horizontally. Speaking of sound decramped filters sound much more gentle for high frequencies than cramped ones. The shape distortion is insignificant. The only problem with “analog matching” for such filters is their phase response is not analog matched at all. 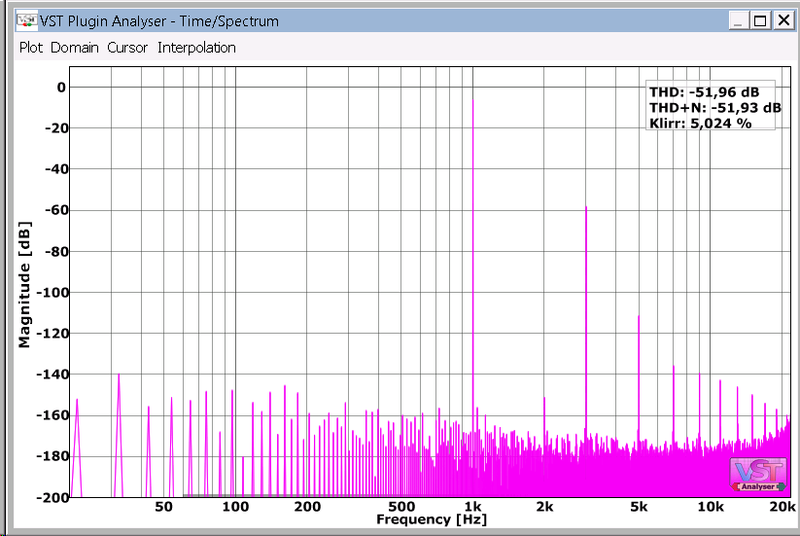 A digital equalizer can limit bandwidth for some reasons (usually due to oversampling used). In most cases it looks like very sharp low-pass filter above 20 kHz or very close to Nyquist. How does this sharp bandwidth limiting sound? Well, for me it moves a sound a bit far away. 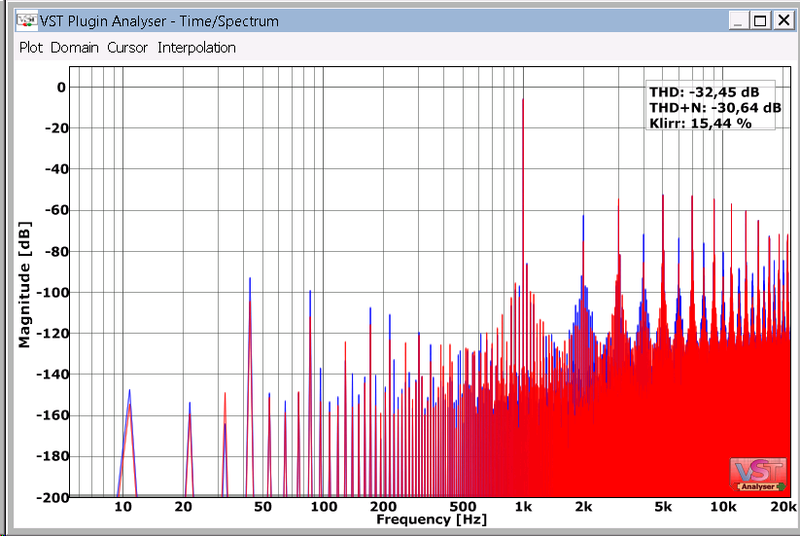 Sharp filters have long ringing in their responses, which smear transients and makes a sound a bit distant. But don’t be scared too much. All AD/DA converters have sharp low-pass filters for anti-aliasing or anti-imaging reasons so you can think of this process as passing the sound through external analog gear. Different converters may have different filters by the way. But also the smooth bandwidth limiting may appear when transformer modeling is used in a plugin. 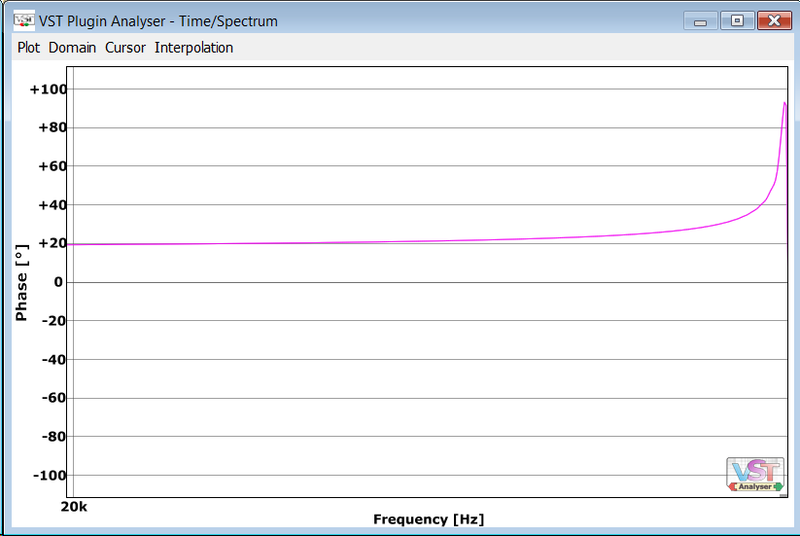 Such bandwidth limiting usually looks like 12 dB/Oct low-pass at 30-35 kHz. Also some equalizers may limit bandwidth at low frequencies to block 0 Hz (DC). 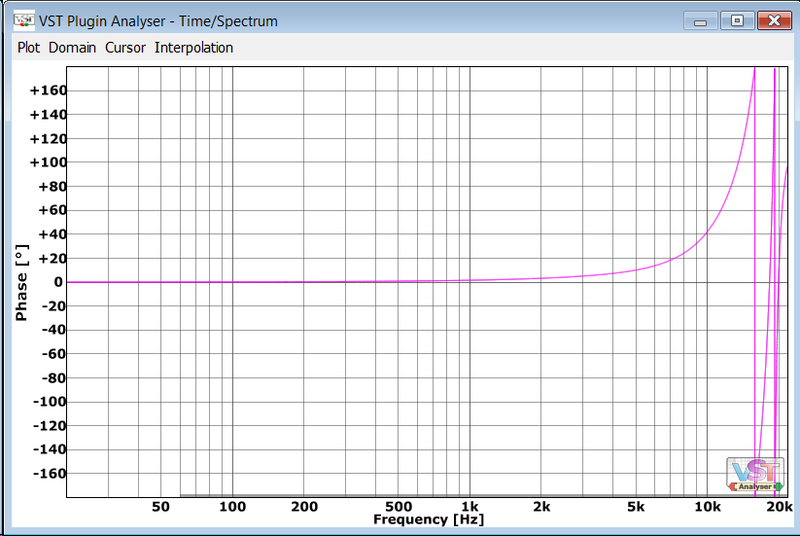 A digital equalizer must have phase of zero at Nyquist frequency. That’s some kind of a law. The most “natural” digital phase behavior for phase minimum filter is to slowly approach to zero near Nyquist. What so special about phase response of an equalizer by the way? The answer is simple. The phase response gives a “color” to the sound. Does it break some law? No. Even in this filter the phase response at Nyquist is zero but the jump from analog matched phase value to 0 is so fast so it’s less than precision of VST Plugin Analyzer. 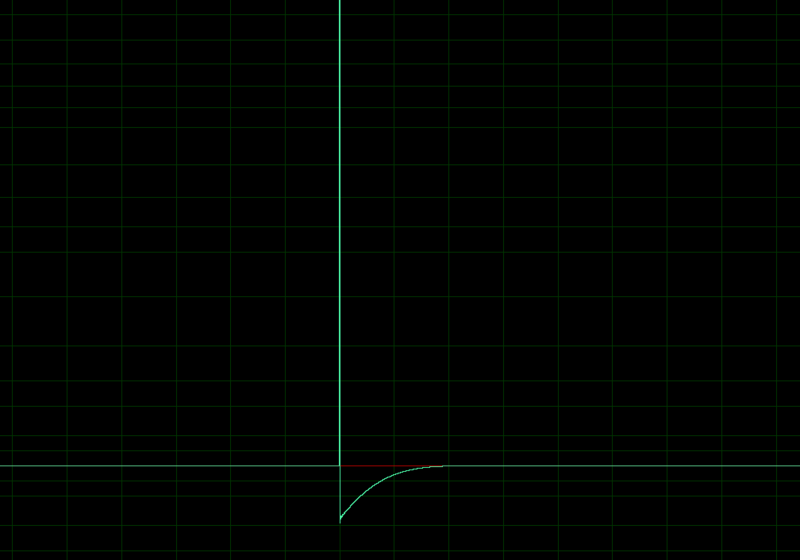 In some equalizers there’s so fast jump from smooth phase analog matched response to zero so it creates some kind of “break” or “discontinuity” in a curve. The side effect of this discontinuity is some kind of “ringing” of phase response on the sides of this breaking point. An ear can’t perceive such small amount of ringing but in some cases more obvious ringing is possible (I don’t have good examples nearby). This often happens when min-phase oversampling is used. Oversampling can be used as a way to avoid cramping effects and min-phase oversampling can be used to maintain zero latency. You can see the high frequencies are delayed. How does it sound? For me it sounds very unnatural. It’s like looking to an audio image through some kind of a crooked glass. You’ll never achieve hi-fi sound this way. Digital equalizers can perform linear phase. In this case both phase response graph and group delay are straight lines. Linear phase processing requires latency and leads to pre-ringing. NOTE: VST Plugin Analyzer sometimes doesn’t recognize latency compensation from a plugin so phase response looks like a messy of lines and the horizontal line of group delay is somewhere above the graph but you can find it. 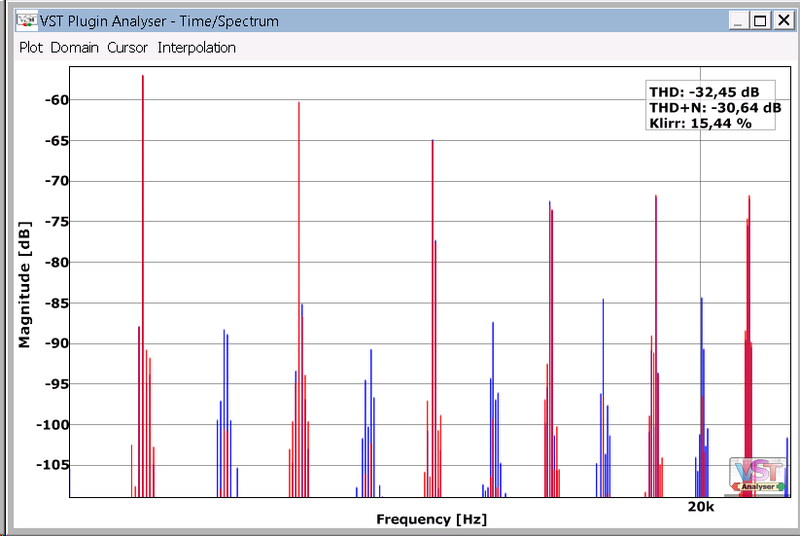 Such ringing usually occurs in finite impulse response (FIR) filters with rectangular truncation window. This ringing is usually very obvious at low frequencies. Filters having some amplitude response ringing usually have shorter impulse response so they smear transients less and also it reduces latency for linear phase case. It’s good to find some kind of a compromise between impulse response length and is this frequency response ringing effect audible or not. 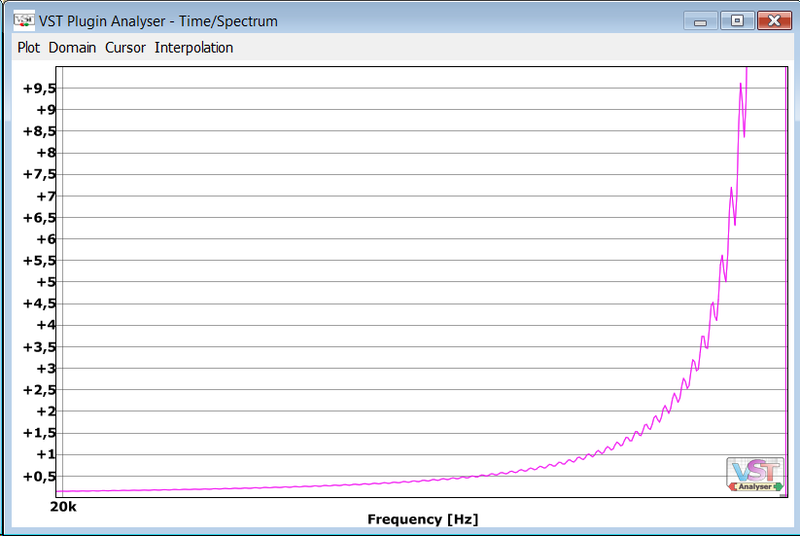 Such curves include flat top filters, symmetric resonant shelves, more than 24 dB/Oct LPFs/HPFs, 3 dB/Oct LPFs/HPFs. Theoretically such filters are possible but it’s pretty hard to implement them in analog. There’re a lot of difficulties in analog world! Such curves include spline curves, variable slope LPFs/HPFs and so on. For stereo analog equalizers it’s very hard to match analog components for both channels. It leads to small changes between curves for left and right channels. Sometimes it sounds good because it widens stereo image. 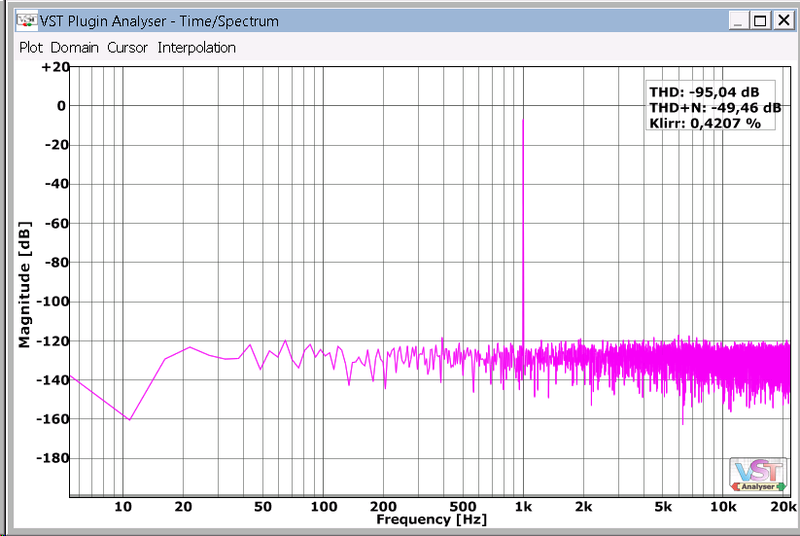 Some digital equalizers add small difference between channels to mimic this effect. Pre-ringing usually can be found in linear phase equalizers. But minimum phase equalizers with linear phase oversampling have pre-ringing too. Equalizers with pre-ringing have some latency to compensate this pre-sound. It’s very simple to create initial impulse file (all samples of zero except one sample at 0 dBFS) and to process it with an equalizer and to perform visual check does it have pre-ringing or not. The picture above is for linear phase equalizer. 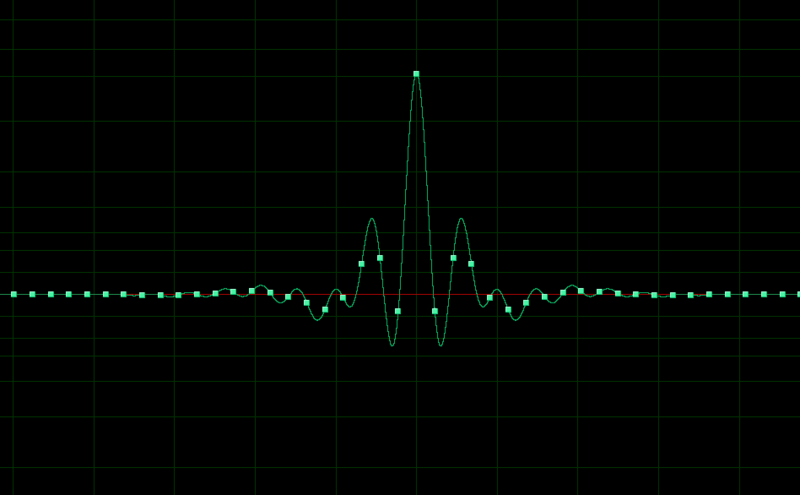 Little squares on the picture mean sample values and smooth line between them is reconstructed waveform (i.e. after DA conversion). 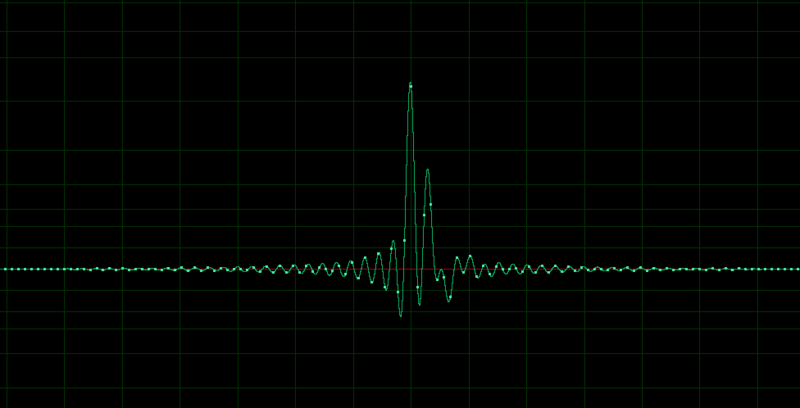 You may see a kind of “ringing” at frequency close to Nyquist (one sample’s up, one sample’s down and so on) but the impulse response of the filter is not symmetric this time. You see the pre-ringing again, don’t you? But the actual sample values prior to the main peak are zeros! 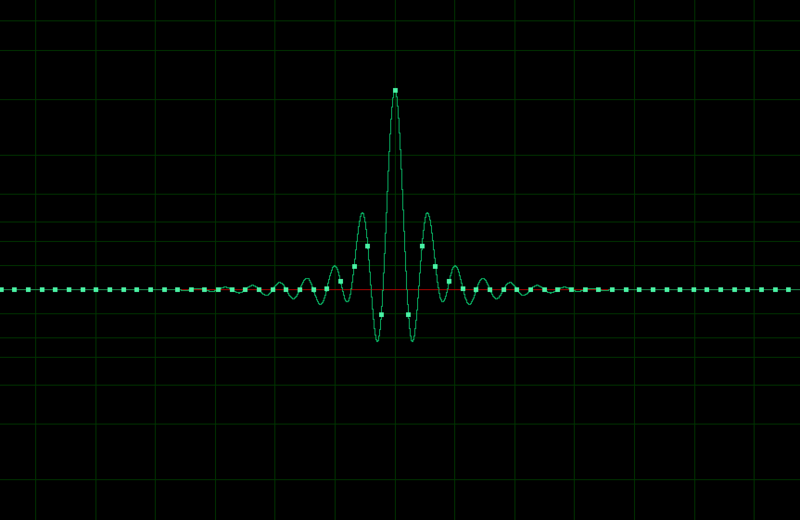 (check small squares left to the peak) This pre-ringing occurs only in reconstructed waveform. That’s because the natural form of a band-limited wave has ringing at a half of a sampling frequency. That’s a law so don’t bother too much about this. Analog filters have infinite post-ringing. Okay, not infinite actually but the impulse response fades down to analog noise or quantization errors in digital equivalents. Filters inside an equalizer “ring” on their frequencies. Sharper filters have longer ringing so the ringing may become audible. The common trick is to truncate impulse response or to apply soft windowing function on it. 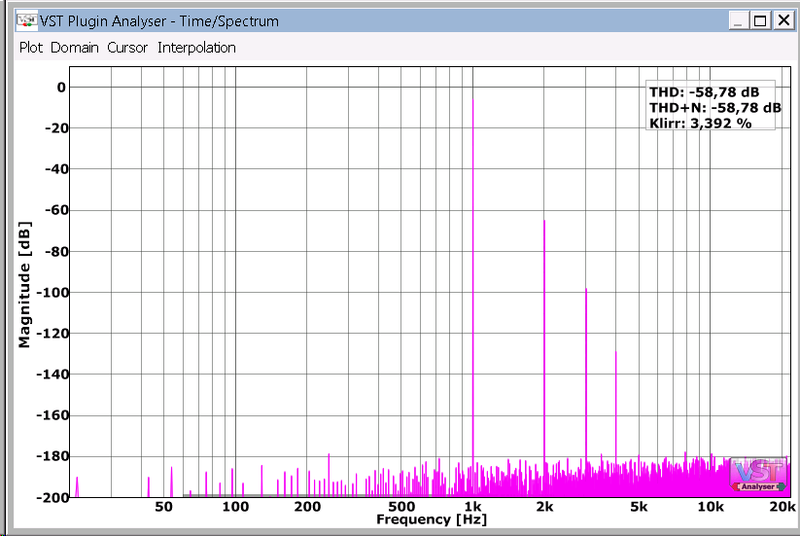 This truncation is the main difference between IIR (infinite impulse response) filters and FIR (finite impulse response) filters. The picture above contains impulse response of smooth 6 dB/Oct filter with hard truncation (rectangular window function). The impulse response is magnified so this “step” actually is very small. And this picture above contains the same impulse response but with soft truncation. The type of truncation used affects the sound in its way. Hard truncation may sound like short gated reverb added to a track and sometimes it sounds very good. 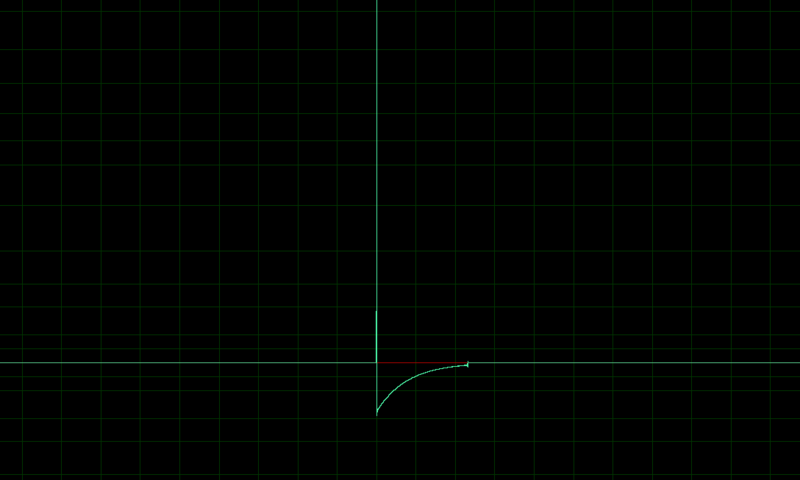 And smooth truncation instead of infinite tail may work better with transients. Impulse samples go to zero very fast but smoothly at the same time. Such rare filters are very transient friendly. I don’t want to say a lot about saturation. It’s a separate topic. For simplicity it’s enough to say that digital equalizer may have saturation or may not. The saturation topic is closely related with aliasing. I usually hear aliasing as “dirt” added. To check aliasing just zoom the part of the image near Nyquist frequency. The small vertical lines from the left to the right are the result of quantization errors. Usually if they are below –140 dBFS, it’s OK. Sometimes digital equalizers work at 32-bit floating point precision or less because it consumes less CPU cycles but in my opinion, 64-bit floating point precision must be used in all processing in all modern digital equalizers because a quantization noise is the thing that makes digital sound “digital” in bad meaning of this word. Often in analog modeled equalizers a noise is added to mimic the noise of analog hardware. Also this noise helps to remove quantization errors and to mask another kinds of processing artifacts and often “noisy” plugins sound not bad at all! Okay, I hope someone could find this text useful. Great article, Vlad – Thanks for sharing! QUESTION: Can you briefly explain why/how excessive FIR ‘ringing’ can ‘wrap-around’ within a window, and appear at the front of the window? Reblogged this on Audio & Computer Music. Very good summary of common obstacles in the digital filter design. Having established the problem, are there any plans to elaborate on possible solutions, especially for magnitude and phase response distortion? Overcoming the bilinear transform limitations for the magnitude response is somewhat covered (“somewhat” because the known solutions mostly deal with design of simple filters, where the prototype filter can be adjusted (altered) before digitization which is not easily applicable if complex filter network is being digitized). But what about the phase response? Just go with the FIR filtering and deal with latency and computational cost? Never heard of this ringing described in 3-a. 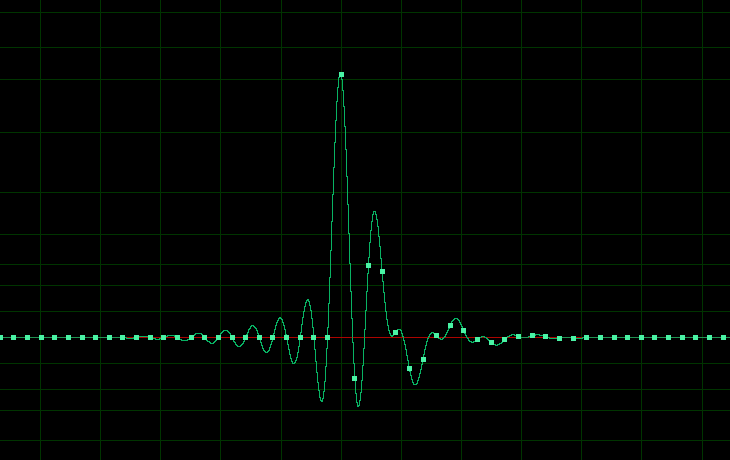 Is this just a frequency-response artifact or does “ringing” applies to time-domain artifact? You are great! Thanks a lot!